I'm thinking of re-doing/perking up our master bedroom and I think I've found the perfect inspiration in this customer photo. 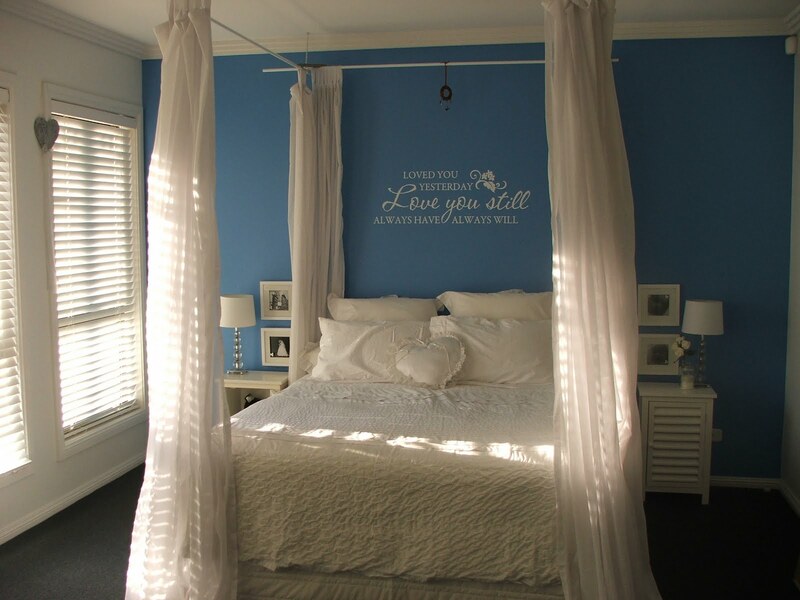 Doesn't this room seem so blissfully quiet and peaceful? I love those gauzy bed linens. And of course, the lovely wall quote (from our Love wall quote collection) is the perfect finishing touch. Fabulous, really. Now on to that bedroom perk-up! I know you'll find something in our extensive wall quote and wall art collections to give your bedroom the perfect touch. Enjoy!